Here is Malaysia. Hope you enjoy your journey in Malaysia. Malaysia is situated in South East Asia on the South China Sea. 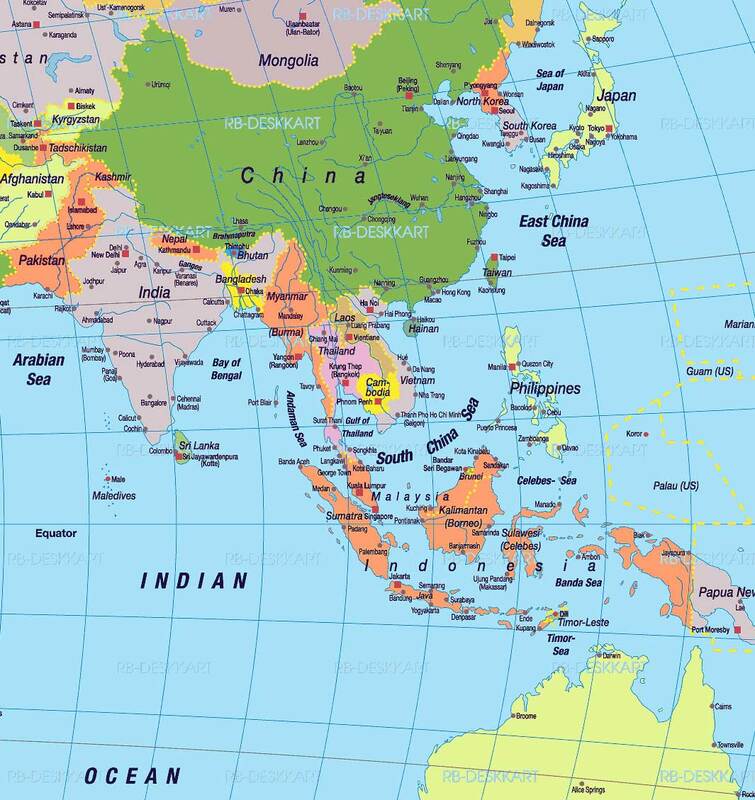 The country is formed of a crescent shape, 40% of which is a peninsula and it borders with Thailand, Indonesia and Brunei. Malaysia was formed in 1963 when the former British colonies of Singapore and the East Malaysian states of Sabah and Sarawak on the northern coast of Borneo joined together to unite an area of 329,750km2. The fact that much of Malaysia is a former British colony renders it both familiar and exotic. Natural beauty and an interesting culture continue to draw visitors to Malaysia and its location just north of the Equator, gives it year round tropical climate that attracts tourists to its beautiful sandy beaches and mountain retreats. The climate is in fact hot and humid with average temperatures of between 20 and 30°C throughout the year. East Malaysia (the northern slopes) gets up to 5,080mm of rain a year versus 2,500 mm in West Malaysia.50% of the country is covered by tropical forests, notably in the Sabah and Sarawak regions. The capital city of Kuala Lumpur is a modern cosmopolitan hub and offers some exceptional culture, including an interesting mix of East and West. Modern sky scrapers blend effortlessly with traditional architecture and the city's Petronas Towers are today the tallest buildings in the world. The majority of city investment opportunities in Malaysia are to be found in Kuala Lumpur. External investment, particularly from the US and nearby China and Japan, has driven the property market in Kuala Lumpur and much of it supports the tremendous growth in tourism the country is currently undergoing. The north western island resorts of Penang and Langkawi are hugely popular as holiday property investment areas, while Port Dickson on the west coast just 60km south of Kuala Lumpur has become an emerging property hotspot itself, attracting many city dwellers to get away from the stress of working life. While it is easily accessed via good roads and train services, Port Dickson's major attraction is its 18km stretch of coconut and palm fringed white sandy beaches that are ideal for water sports enthusiasts. As in many Asian cultures, Malaysians are a gentle race and expect polite, respectful behaviour in public. Malaysia's population comprises just over a 50% majority of Malays who are Muslim. 25% of the population is Chinese and the remainder is of Indian descent, including Hindus, Muslims, Buddhists and Christians. Malaysia as a islam muslim country, over the pass few years had attracted many middle east people visit, study, and business in Malaysia.